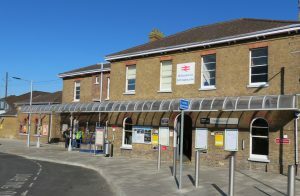 Sittingbourne is a large town with many retails outlets and places of interest. The station is in the town centre. It is the only town in the UK twinned with Ypres in Belgium, which is famous for battles in the First World War and the Menin Gate Memorial and war graves. In the war, Sittingbourne was used by German aircraft as a reference point on the way towards London. 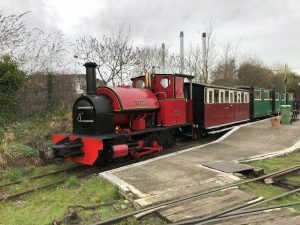 In modern times, there has been a lot of development around the town, which has a Heritage Museum and the Sittingbourne and Kemsley light railway. The town has a market on a Friday outside the Forum Shopping Centre. 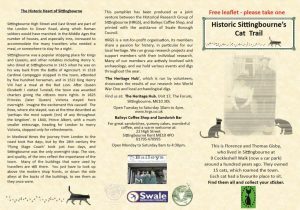 If you are looking for an historic walk in Sittingbourne, why not follow the Cat Trail, a free, family friendly, self-guided walk along ‘Watling Street’, an important Roman road, which runs through the historic heart of Sittingbourne. For more information about things to do around Sittingbourne, why not take a look at the Visit Swale website.